The good news is, I have upgraded from Addi calling me a dog. I'm now a sister. The bad news is, she is still "Mommy." 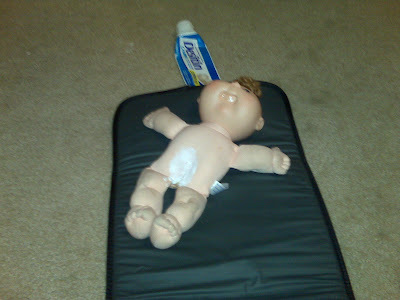 And according to Mommy, this baby has diaper rash and really needed diaper rash cream. 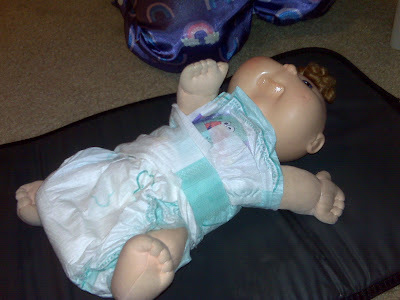 Not sure why the baby needed Desitin IN her mouth too. I'm sure there is a reasonable explanation.